With Raw Nationals in Atlanta just around the corner we would like to highlight our USAPL Georgia lifters who are competing this year. Georgia has a long history of member competing on the national level but for many this will be their first national level meet. If all goes well USAPL Georgia lifters will represent our state and show that we are as competitive as any other state in the nation. LaTavia has been competing for two and a half years after being introduced through crossfit. She has previously competed in the 84+ class but has moved down this year to the 84 class. She trains with Team Rohr with best lifts of 380/193/412. She hopes to make the podium and to qualify for next year's Arnold Classic. Dicy lives in Duluth, Ga where she trains at GATA gym. She is coached by Eric and Kelsea Koenreich and is making the move to the 57 kg class this year. Dicy has competed at multiple nationals previously as well as the Arnold Classic. Her best lifts are 314/159/363 which were all done in the 63 kg class. She hopes to break those PR's at Raw Nationals in her new lower weight class. 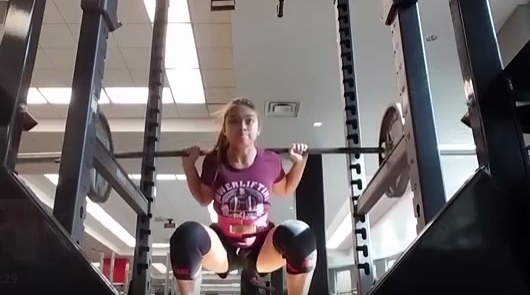 Cassi Niemann is a 63kg powerlifter out of Atlanta Barbell, coached by Alex Kennedy. She has been powerlifting for 2 years and this will be her first time competing at USAPL Nationals. She is a Starting Strength Coach at Atlanta Barbell and in her free time, a licensed architect. Prior to powerlifting, Cassi found her competitive edge in collegiate rowing and elite gymnastics. 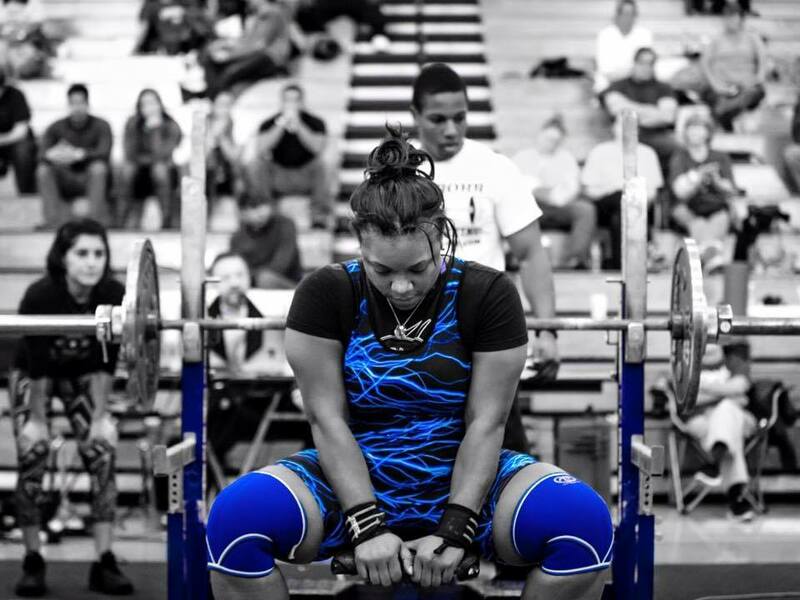 Her best competition lifts include a 270 lb squat, 155 lb bench and 330 lb deadlift. 19 year old Georgia Tech student Arthi Nithi only has one meet under her belt but that was enough to earn her an open state record in the squat in the 63 kg class. After coming off of an injury last year and this only being her second meet, look for big things from her at Raw Nationals. Her current personal bests are a 325 lb squat, 160 lb benchpress, and a 341 lb deadlift. John is a Masters 2 lifter with over 25 years of experience. John trains out of Flex Powerhouse in Warner Robins. Raw Nationals will be John's second National level meet after lifting at Benchpress Nationals two years ago. 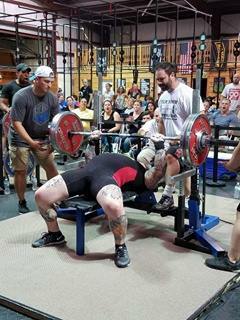 John hold state records in both the raw and equipped divisions and currently has a meet personal best of 402 lb benchpress in the 120 kg class. John has benched over the American record in the gym but is looking forward to replicating that on the platform and securing an American record. 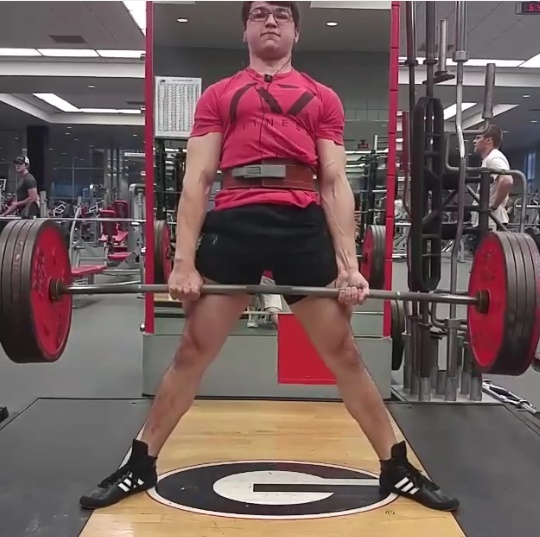 Ricky is a 66 kg Teen 3 lifter out of the University of Georgia. Ricky has been competing for one year now and has big hopes for Raw Nationals as he's looking to secure a spot on the National Team with a class win. With personal bests of a 440 squat, 245 lb bench, and a 525 lb deadlift Ricky has his eyes on a couple of American records as well. Ben is a junior lifter in the 83 kg weight class. 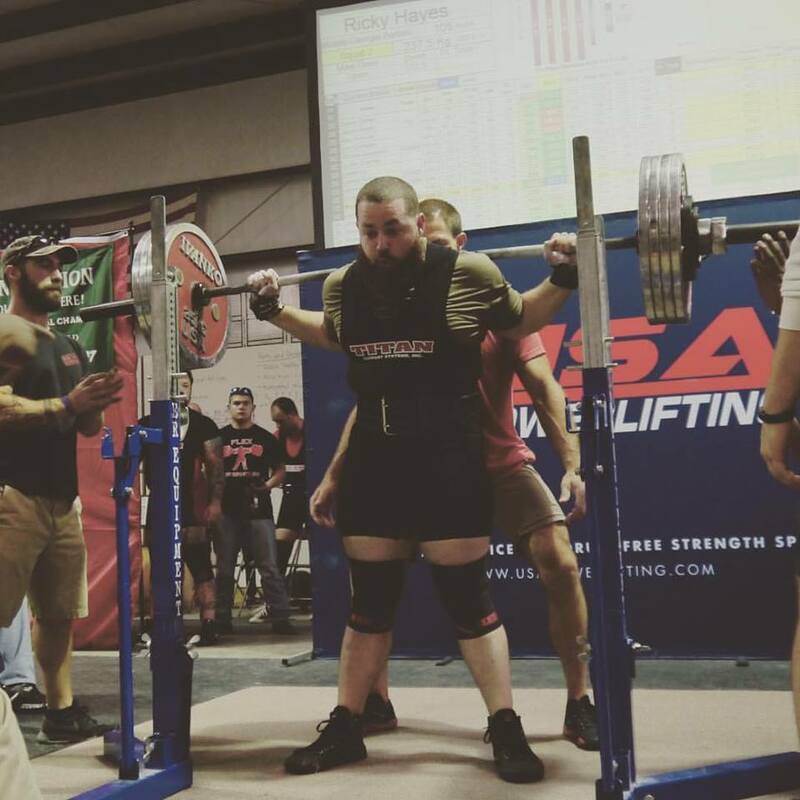 Ben is another first time National meet lifter and although he has lifted for a few years, he has only been a competitive powerlifter for one. His best lifts include a 485 lb squat, 281 benchpress, and a 600 deadlift. Ben is hoping to hit a personal record total of 1400. 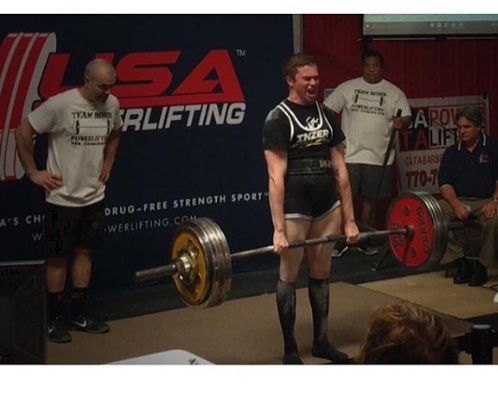 James is the current president of the University of Georgia Powerlifting Club. He is a graduating senior this year and has lifted with the team for a few years. James is dropping a weight class this year and lifting as a 74 kg lifter in the junior division. His personal bests include a 485 lb squat, 330 lb benchpress, and a 572 lb deadlift. He is hoping to put some lifts together and total over 1400. 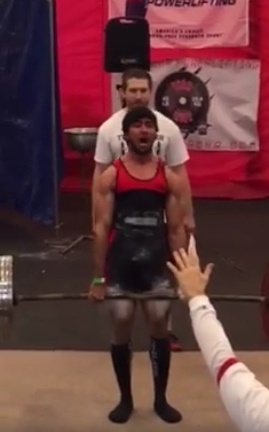 Another one of the 13 members of the UGA Powerlifting Club competing at Raw Nationals is Vivyen Vu. She is another newcomer to the National meet scene and will be competing as a 52 kg junior lifter. She has made significant progress in the short time as a competitive lifter and is looking to set personal records on all three lifts. Her personal bests to date are a 230 lb squat, 115 lb benchpress and a 254 lb deadlift. 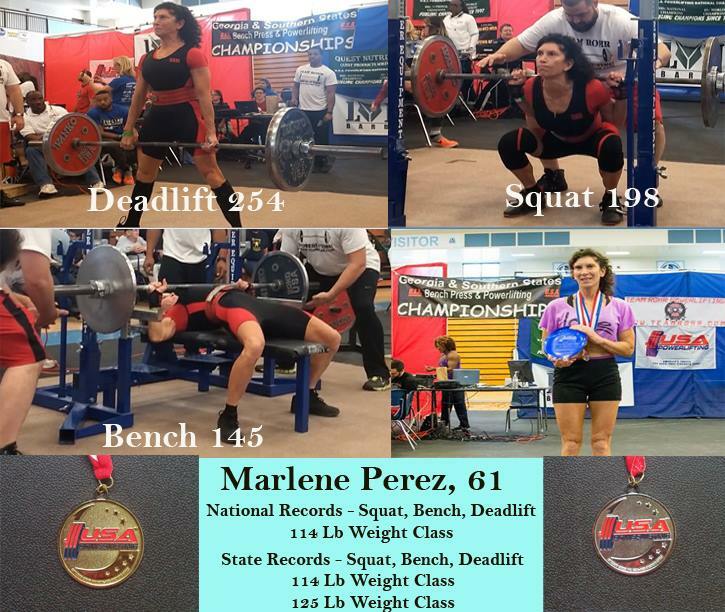 Marlene Perez began powerlifting again in 2015 after a 26 year hiatus from the sport. She lives in Griffin, Ga where she trains in her home gym with her husband and fellow powerlifter Tim Perez. 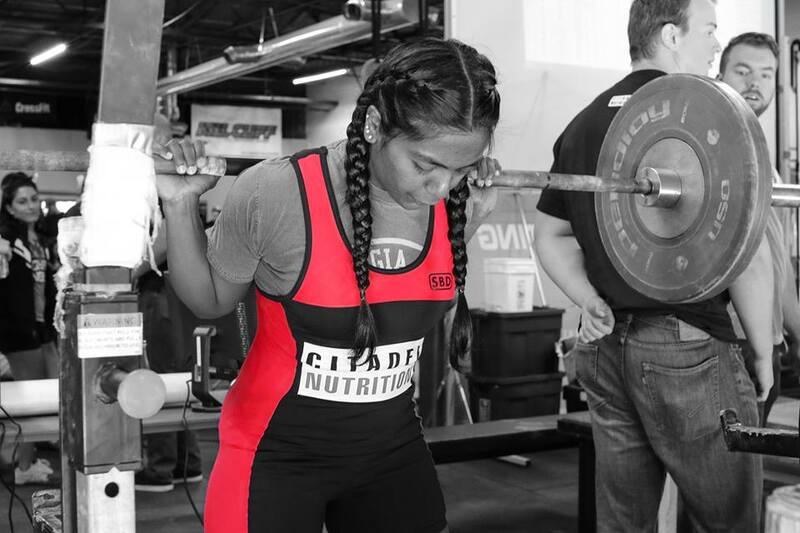 She competes in the 52 kg class as a Masters 3 lifter and hopes to qualify for a spot on the National Team for the 2017 IPF Classic World Championships. She has set 6 American Records since 2015 with PR's of a 215lb squat, 150lb benchpress, and 285lb deadlift.